For several years, nomadic troubadour Elaine Ryan has been pouring her heart out and hustling to get her songs heard around the world, playing across the globe from Vancouver to Montreal & Austin, Spain & Switzerland to Maui. 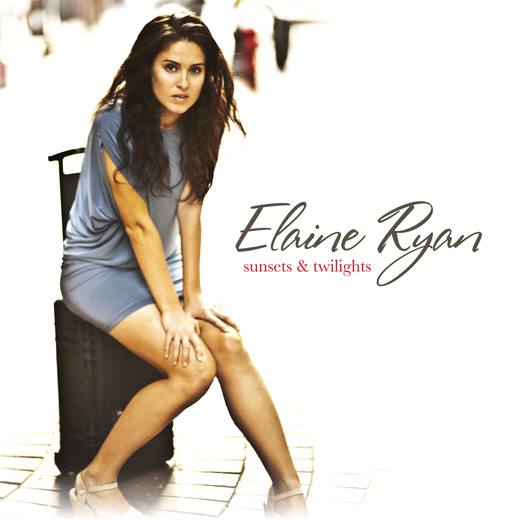 Her seventh year of trying proved particularly lucky, with a generous fan and patron supporting her upcoming release, Sunsets & Twilights. The funding enabled her to collaborate with respected Vancouver producer Winston Hauschild, and engineer and mixing wizard Shawn Cole to create the type of top-notch, quality recording that used to be the sole preserve of artists signed to a large record label. Ryan first served notice of her creative potential with the 2007 release of a six-song EP, Sisters. It earned a warm response and college, community and CBC Radio play, while club gigs in her Vancouver hometown showcased her prowess as a natural performer. Her song “Dream of Peace” won an award for best soundtrack in a local film competition and was placed on the L.A.-based Dream On! charity compilation, in support of Martin Luther King Jr.’s legacy. In 2010 she followed up with a full-length self-produced album, Songs From the River, which garnered positive newspaper reviews on tour and in local media. Her song “Kiss Me With That Poem” was picked up by North Carolina’s Backyard Records, and recorded on Holly McCormack’s 2012 album So Far From Reality. Ryan has organized three successful tours, including a cross-Canada tour with Melissa Bandura and a BC/Alberta tour with fellow Lilith Fair contest runners-up, Aspen Switzer and Genevieve Rainey. As well as placing in the top-ten of a contest to perform at Lilith Fair, she placed in the Shore Song Search’s top 20 in its first year. Sunsets & Twilights is the proud result of Ryan's work with producer Winston Hauschild. She steps out of the comfort zone of the folk-acoustic genre with upbeat pop-rock songs like "Ships" and "Give Into This Feeling." Ryan splits her time between Maui and Vancouver and pays tribute to the former in "When the Wind Blows Kona," a danceable surf-pop song, and to the latter with a catchy ode to her Vancouver neighbourhood on the "Eastside of Town." Her lyrics remain front and center and are all the more enjoyable amidst the moody instrumentaion and sweet harmonies on "Slip Down," "Just Like You," "Secrets of Girls" and "Here Comes the Dark." The title track, "Sunsets & Twilights," is a highlight, with it's seasonal references, jazzy feel and a guitar riff suggestive of a old Bob Marley song you can't quite put your finger on.